Help send Company B to the prestigious Nanjing Jazz and World Music Festival. 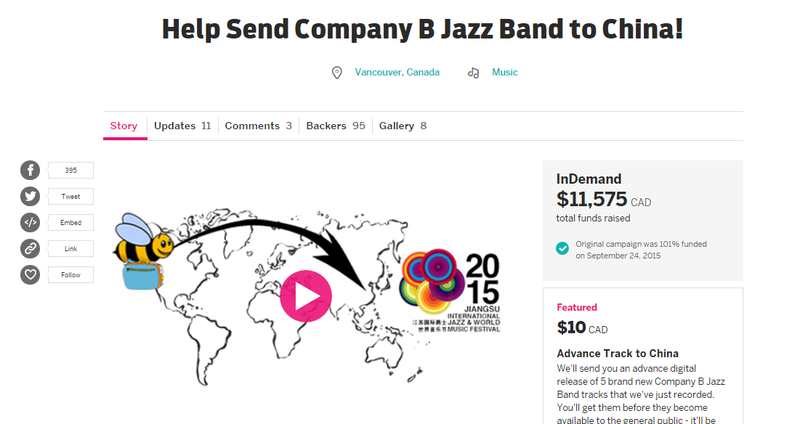 Crowdfunding: Send Company B Jazz Band to China! Result: We went to China! In addition, the Company B Facebook page up over 1,000 Likes, created a brand new Instagram account for them, increased views to their YouTube channel and generated new traffic to their website. research – the whole team learned exactly how international med school graduates apply to come and work in Canada, and how the rules work for Canadian students studying abroad. These learnings were invaluable for creating a readable, interactive timeline. 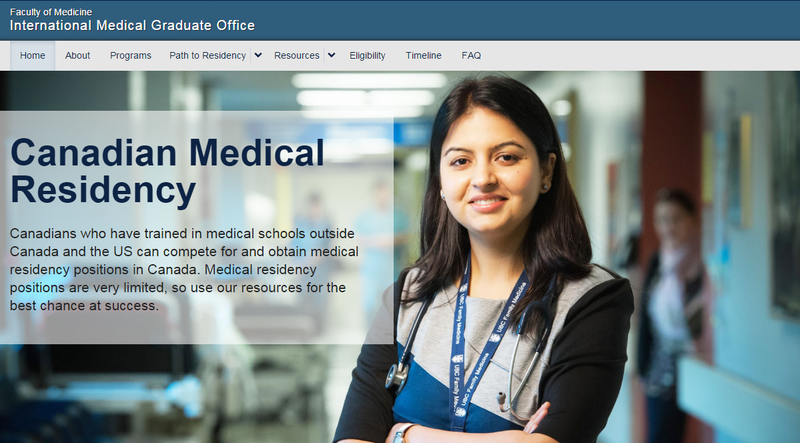 Result: A beautiful new site that assists curious medical residents who want to practice in BC, while still abiding by UBC look and feel guidelines. A dual website in two languages supporting generic drugs made by Pfizer. Search Strategy – Canadian advertising rules for pharmaceuticals are very stringent. Since search is keyword based, we needed to find a way to connect pages to search results, without using usual industry standard keyword tactics. As a result, I worked closely with the UX and Designers to iterate detail pages and make something usable for pharmacists and procurement officials, which was still searchable. We then developed a paid search strategy to boost traffic upon launch. Keyword Research – Determining keyword volumes for approved keywords and tweaking titles and category names for the highest available search volumes. Alt Tag Bulk Master Sheet – The technical content of this build became very important, requiring specific alt text for each image, the bulk of which are actual pills, front, left and right views. As such, each image became another opportunity to remind search engines that this site is the place for the best information about generics from Pfizer. We generated a master list of images starting with the molecule name, generic name and then which view. Page Design – working directly with the UX and the visual Designer, I created pre-optimized pages. The taxonomy of the pages in the site and the organization of the content were both built with the user and SERPs in mind. Result: We built four sites at once, when mid-build, the client asked to separate injectable medications from capsules, and we built French and English versions for both. By definition there will be low search volumes for molecule names, but we did more SEO upfront than many catalogue sites.